What would you get if you put a Chameleon, a particle collider and a cheese cake into a rehearsal room? Well, we don’t know either, but it’s almost as unpredictable as recording a NOTOPIA session. 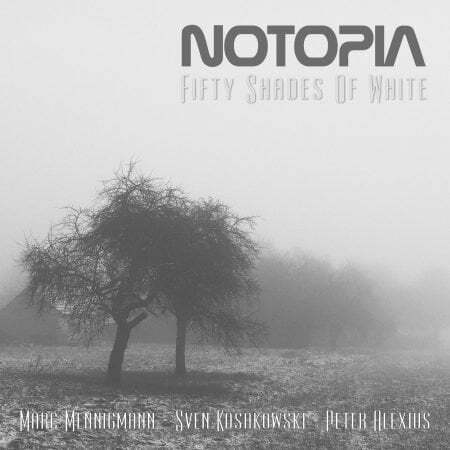 This new 26 minutes EP called “Fifty Shades Of White” covers six tracks, which can not be more unpredictable. This is progressive free jazz with a spice of dark ambient Real Book phobia. Dive in and enjoy! “Fifty Shades Of White” is available on BandCamp or iTunes. And of course it’s a free release for my BandCamp subscribers!